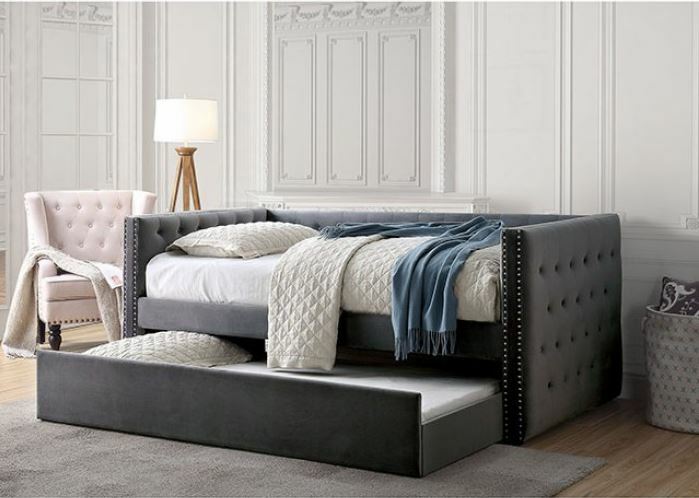 The rigidity of the tuxedo design offers an alluring base for a daybed. 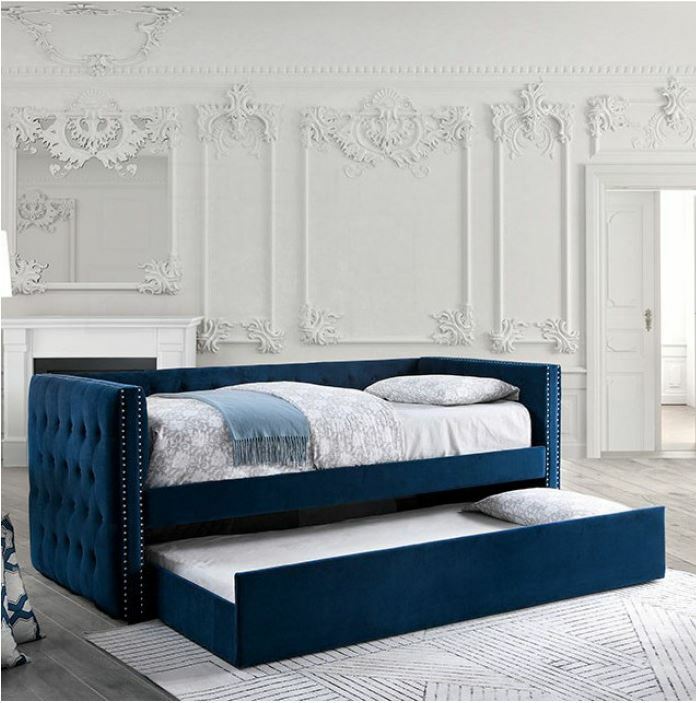 A softer button tufting encases the entirety of this piece, from outside arms to back rest, highlighted by a twin nailhead trim running along the length of the frame. Combine with some throw pillows to add depth and extra comfort. 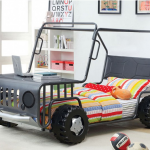 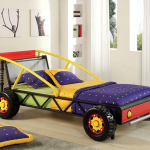 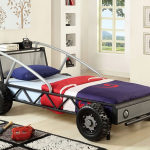 Should the need arise for extra bedding; a pull out trundle can accommodate your needs.